CardMonkey's Paper Jungle: "Sparkle & Shine" This Holiday Season! 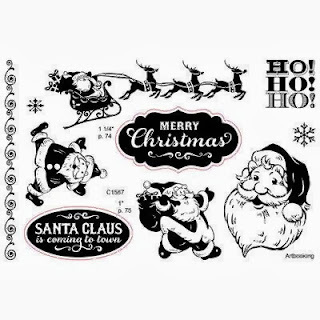 It's hard to believe that Christmas is just 79 days away! Are you ready to Sparkle & Shine this holiday season? I'm turning to the new releases from Close To My Heart in its brand new "Holidays from the Heart Gift Guide" for my inspiration. This is most certainly my favorite card I've made so far this Christmas season. I used the Sparkle and Shine Paper Pack in the Holidays from the Heart Gift Guide, coupled with CTMH cardstock in "Whisper". 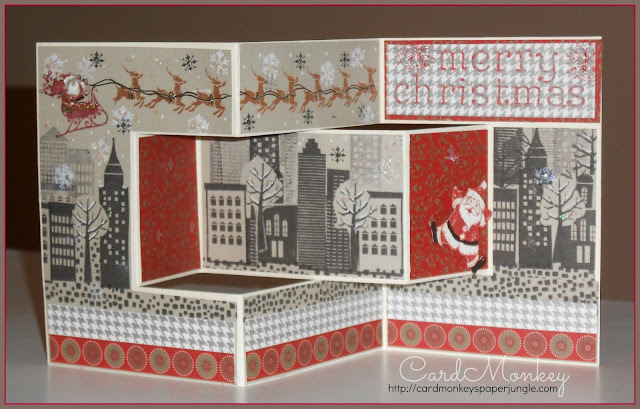 I used CTMH Exclusive Inks in Black, Ruby and Daisy White, and the Santa Claus (D1567) and City Scape (D1563) stamp sets. This card pattern is called a Tri-fold Shutter Card, which I folded slightly different from norm. 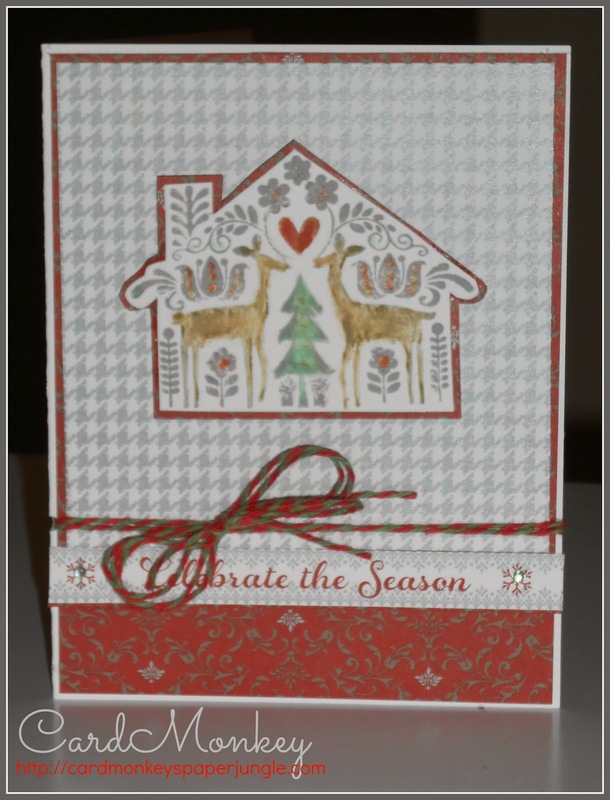 This card also uses CTMH's Sparkle & Shine paper. 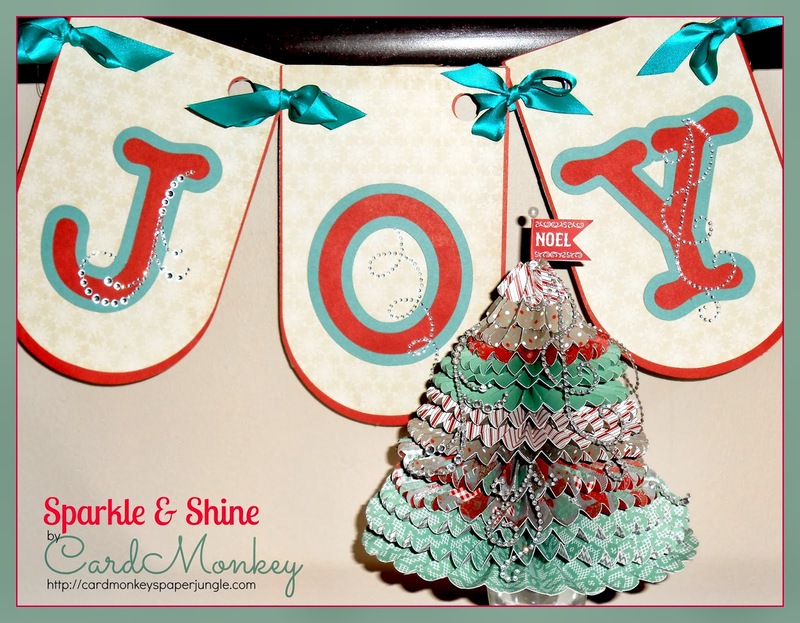 But certainly, the most "Sparkle & Shine" is in the banner and home décor Christmas tree I made (shown at the top of this post), incorporating Sparkles Flourish gems on the tree and on the banner. I cut the banner using the Cricut/CTMH Exclusive "Art Philosophy" cartridge. The banner's top layer is the currently available "Frosted" paper, incorporating solid cardstock in Ruby and Twilight. 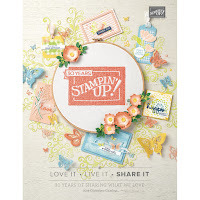 As always, the Stamp of the Month Stamp Set is available for just $5.00 with a qualifying $50.00 purchase. 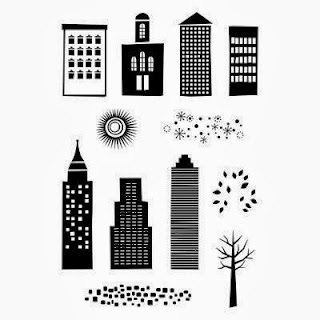 I would be honored to be your Close To My Heart consultant, and would love to SHOW YOU HOW to make these projects! Contact me at cardmonkey@comcast.net to schedule this today! 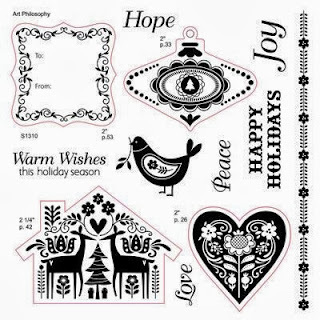 I can also offer another opportunity how to make these projects: We will be making the banner shown here at my "Holiday Décor and More" class scheduled at Kathy Davis Studios (303 Horsham Road, Suite G, Horsham, PA) on Thursday, November 7 from 6 to 8:30 p.m. 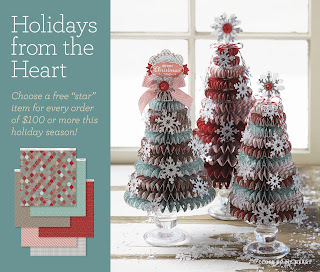 The fee of $35 includes the class and all materials you'll need to make this and other holiday projects! Please drop me a line or leave a comment if you'd like to register. NOW UPDATED!! 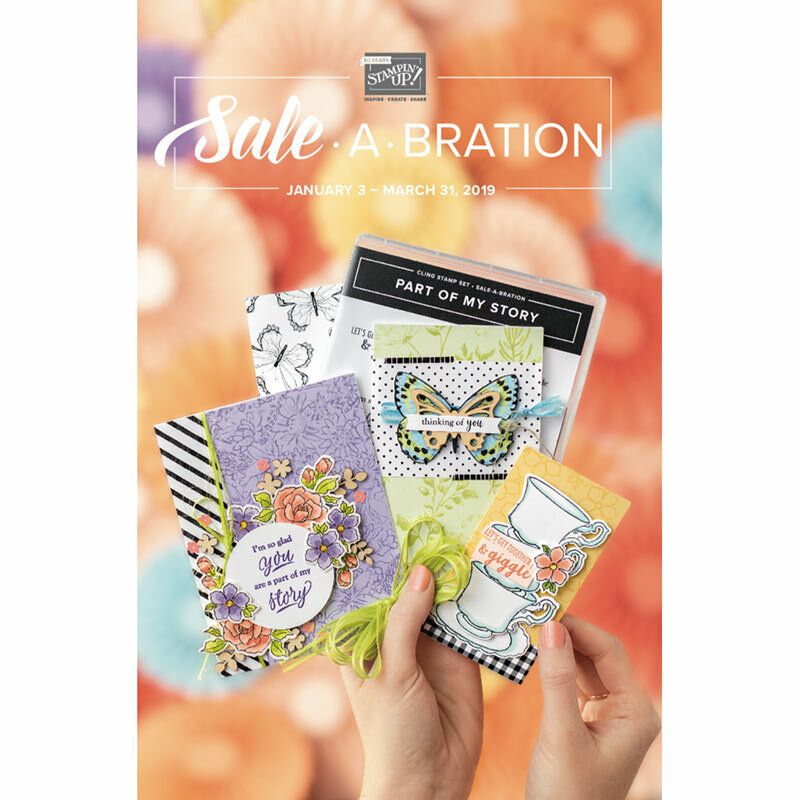 If you place ANY order via my CTMH website, please CHECK THE BOX that asks if you'd like to join my CardMonkey's Paper Jungle Followers party. 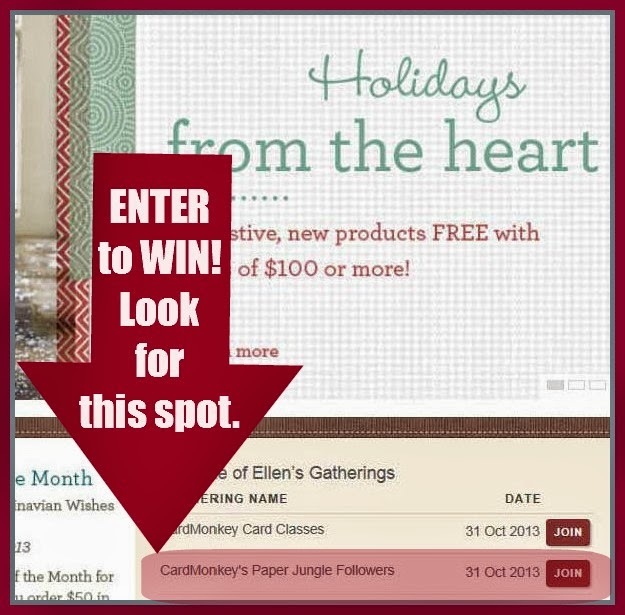 Then, YOU will be entered into my personal contest to WIN up to $25 in free CTMH products at the end of the month! Go to CARDMONKEY.CTMH.COM. win! win! win! !